BDNF (brain-derived neurotrophic factor) is a small secreted growth factor that is important for the development and plasticity of the central nervous system and vital for long-term memory. Selected polymorphisms of BDNF have been shown to increase susceptibility to memory impairment and selected eating and mental disorders. 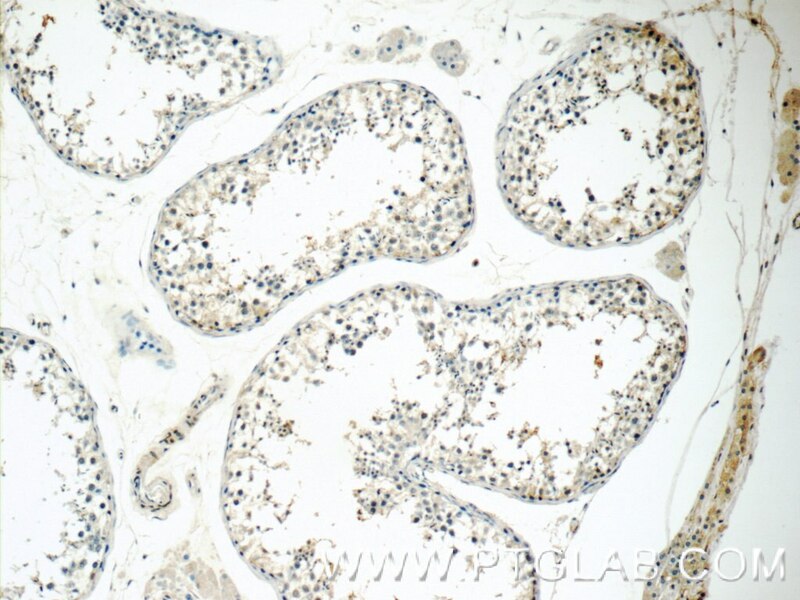 BDNF is a neurotrophin that is a subject of maturation by proteolytic cleavage. The precursor protein (pre-proBDNF) is first cleaved to proBDNF (~34 kDa) by removing a signal peptide, and then to a mature form of BDNF (14 kDa). Additionally, (pre-)proBDNF can form dimers that run between 50 and 60 kDa, and a minor truncated form of proBDNF running at 28 kDa has also been reported (PMID: 11152678). SCM-198 Ameliorates Cognitive Deficits, Promotes Neuronal Survival and Enhances CREB/BDNF/TrkB Signaling without Affecting Aβ Burden in AβPP/PS1 Mice. Early BDNF Treatment Ameliorates Cell Loss in the Entorhinal Cortex of APP Transgenic Mice. 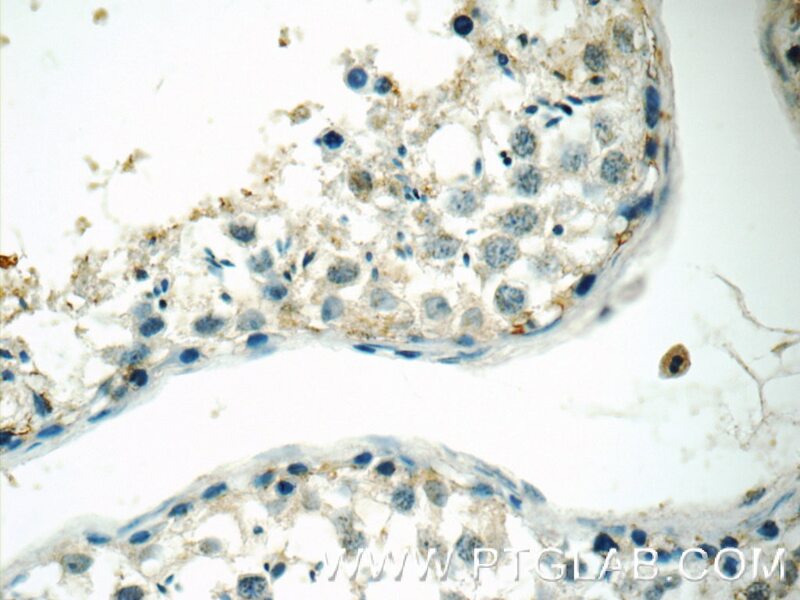 Puerarin protected the brain from cerebral ischemia injury via astrocyte apoptosis inhibition. Acute Treatment with a Novel TRPC4/C5 Channel Inhibitor Produces Antidepressant and Anxiolytic-Like Effects in Mice. Bone Marrow Stromal Cell Intraspinal Transplants Fail to Improve Motor Outcomes in a Severe Model of Spinal Cord Injury. The Role of Endogenous Neurogenesis in Functional Recovery and Motor Map Reorganization Induced by Rehabilitative Therapy after Stroke in Rats. 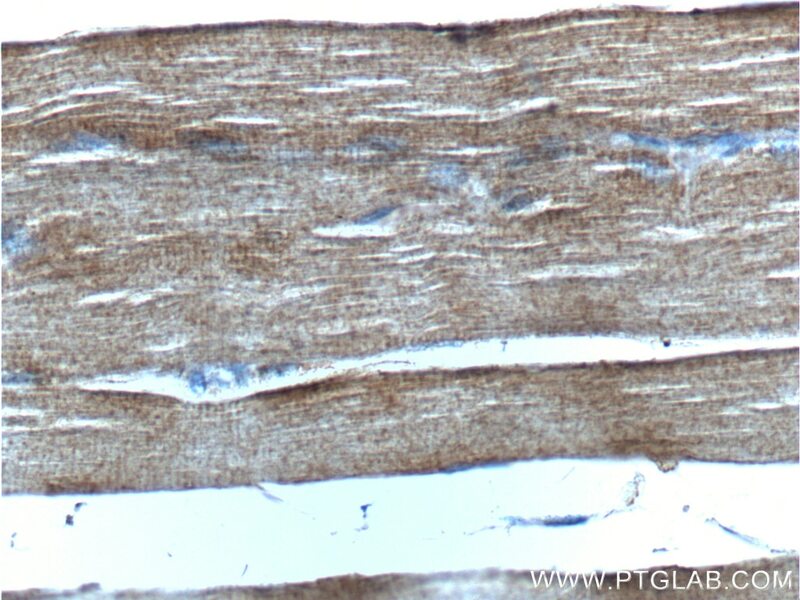 Immunohistochemical analysis of paraffin-embedded human skeletal muscle tissue slide using 25699-1-AP( BDNF Antibody) at dilution of 1:200 (under 10x lens). 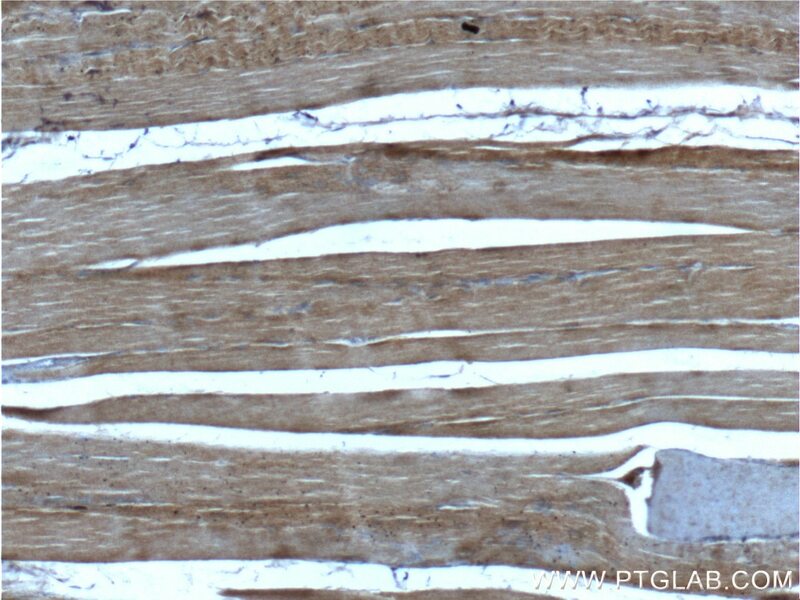 Immunohistochemical analysis of paraffin-embedded human skeletal muscle tissue slide using 25699-1-AP( BDNF Antibody) at dilution of 1:200 (under 40x lens).